Israel competed at the 2016 Summer Olympics in Rio de Janeiro, Brazil, from 5 to 21 August 2016. It was the nation's sixteenth appearance at the Summer Olympics. The Olympic Committee of Israel confirmed a team of 47 athletes, 22 men and 25 women, to compete across 17 sports at the Games. It was the nation's largest ever delegation sent to the Olympics, breaking its previous record of 43 athletes set in 2008. Among the sports represented by its athletes, Israel marked its Olympic debut in golf (new to the 2016 Games), mountain biking, and triathlon, as well as its return to road cycling, taekwondo, weightlifting, and wrestling after long years of absence. The nation's full roster also reached a historic milestone for Israeli women, as they officially outnumbered the men for the first time. The Israeli delegation featured 14 returning Olympians. Five of them participated in their third straight Games, namely windsurfer and 2008 bronze medalist Shahar Tzuberi, butterfly and medley swimmer Gal Nevo, synchronized swimmer Anastasia Gloushkov, artistic gymnast Alexander Shatilov, and rhythmic gymnast Neta Rivkin, who was chosen as the nation's flag bearer at the opening ceremony, the first by a female since 1996 and fourth overall in Israel's Olympic history. Israel returned home from Rio de Janeiro with two bronze medals, each won by judoka Yarden Gerbi (women's 63 kg) and Or Sasson (men's +100 kg), an improvement from the nation's out-of-medal feat at London 2012. Several Israeli athletes advanced to the finals of their respective sporting events, but narrowly missed out of the podium, including the women's rhythmic gymnastics squad (captained by Alona Koshevatskiy) in the group all-around, triple jumper Hanna Knyazyeva-Minenko, and windsurfer Maayan Davidovich in the women's RS:X.
Israel participated in sixteen Summer Olympics between its debut at the 1952 Summer Olympics in Helsinki, Finland and the 2016 Summer Olympics in Rio de Janeiro, Brazil. The nation chose rhythmic gymnast Neta Rivkin as its flagbearer in the opening ceremony and rhythmic gymnastics squad captain Alona Koshevatskiy as its flagbearer in the closing ceremony. A total of 47 athletes, 22 men and 25 women, travelled to Rio de Janeiro and competed across 17 sports. It was the nation's largest ever delegation sent to the Olympics, breaking its previous record of 43 athletes set in 2008. Among the sports represented by its athletes, Israel marked its Olympic debut in golf (new to the 2016 Games), mountain biking, and triathlon, as well as its return to road cycling, taekwondo, weightlifting, and wrestling after long years of absence. The nation's full roster also reached a historic milestone on the Israeli women, as they officially outnumbered the men for the first time. Israel has won a total of nine medals up to and including the 2016 Summer Olympics[update]. The Israeli delegation included 47 athletes competing in 17 sports. Donald Sanford qualified for the men's 400 metres by having a qualifying time of under 45.40 seconds. Sanford finished in his heat with a time of 46.06 seconds, but did not qualify for the semifinals due to finishing in fifth place. Israel had five marathon runners qualify, three males and two females. They all qualified via the entry standard of 2:19 and 2:45 for men and women, respectively. Lonah Chemtai did not finish the marathon. The highest place finish was by Marhu Teferi, finishing in 74th place. Both Dmitry Kroyter and Hanna Knyazyeva-Minenko competed in field events, with the former competing in high jump and the latter in triple jump. Kroyter did not perform well enough to advance to the final round; he cleared the 2.17 metres (7.1 ft) height on his second try, but failed to clear the 2.22 metres (7.3 ft) height in his three attempts, finishing 41st overall. Minenko scratched on her first two jumps, and her third jump was long enough for her to place 8th in the round with a distance of 14.2 metres (47 ft). The final round is split into two sets of three jumps, with the top eight from the first set advancing to the second. The longest distance from all six jumps is the distance that is considered for placing. Minenko placed seventh in the first set, with her longest jump from the set being 14.39 metres (47.2 ft). Minenko achieved her season best in the second set of jumps with a length of 14.68 metres (48.2 ft), finishing in fifth place overall. Israel qualified one badminton player for the men's singles into the Olympic tournament. Misha Zilberman, who debuted at the London 2012 Olympic Games as Israel's first badminton Olympian, claimed his Olympic spot as one of the top 34 individual shuttlers in the BWF World Rankings as of 5 May 2016. According to Zilberman, his ambition is "to win a medal at the European or World Championships or the Olympic Games." When it comes to his Olympic training regimen, he said "training under my parents is hard because on the court, they are always trying to push me to my limit." Zilberman's win was Israel's first badminton win at the Olympics. He lost to Chou Tien-chen, and Chou's victory over Yuhan Tan eliminated Zilberman from competition. Israel qualified one rider in the women's Olympic road race, Shani Bloch, by virtue of a top-22 international finish in the 2016 Union Cycliste Internationale (UCI) World Rankings, signifying the nation's Olympic comeback to the sport for the first time since 1960. Bloch had retired in 2004 to start a family, but came out of retirement in 2014, training with her Israeli teammates to qualify for Rio. She was the oldest member of the Rio delegation at the age of 37. On finishing, the race Bloch said "I’m so happy that I managed to finish the race. This gives me an amazing sense of satisfaction. I’m so proud to represent Israel. I thank God for this opportunity." Bloch was ranked 88 in the world at the time of qualification, and finished in 48th place with a time of 4:02:59. Israel qualified one mountain biker for the men's Olympic cross-country race, as a result of his nation's twenty-second-place finish in the UCI Olympic Ranking List of 25 May 2016. This marked the first time an Israeli competed in the Olympics in mountain biking. Haimy started the race well, sitting in fourth place after the first kilometer. Haimy was passed by several competitors when his bike tire was punctured. The puncture caused him to fall to 44th place. He continued the race and finished in 29th place with a time of 1:43:30, slightly over 10 minutes behind the winner. Israel entered one golfer into the Olympic tournament. Laetitia Beck (world no. 237) qualified directly among the top 60 eligible players for the women's event based on the International Golf Federation (IGF) World Rankings as of 11 July 2016. This marked the first time Israel sent a golfer to the Olympics. Due to Israel's inexperience representing golf athletes, Beck was required to procure all of her equipment to prepare for Rio, such as her uniform and hats. Israel's Olympic committee reimbursed her for the equipment. On the topic of representing Israel at the Olympics, Beck said "I think it's because of what my grandparents had to go through, not just my grandparents but everyone during World War II, all the Jewish people during World War II and the holocaust, that obviously brings me anger, but i think what i'm trying to do is bring the anger and try to do something meaningful." Beck finished tied for 31st with a score of two over par. Her best round was the third round, where she was tied for 13th place. Israel entered one artistic gymnast into the Olympic competition. Two-time Olympian Alexander Shatilov qualified and claimed his Olympic spot in the men's apparatus and all-around events via the Olympic Test Event in Rio de Janeiro by participation. Shatilov participated in both the London and Beijing Olympics. He did not advance following the qualification round in the floor and horizontal bar events due to not achieving eighth place or higher in either. Shatilov's loss in the qualification rounds makes Rio his worst Olympic finish ever. In regards to the loss, he said “things didn’t go as I planned, but that happens in sport and there’s nothing I can do about it. You need to know how to cope with disappointments and life continues. I trained hard and wanted to have a good competition, but you can’t turn the clock back. I started my floor drill well, but a small mistake cost me and I knew I had no chance after that. I never imagined a scenario like this.” He performed poorly in both the floor and bar routines, scoring 13.5 points in the floor routine, and 14.066 points in the bar routine. The floor exercise was riddled with errors and ended with a landing where it appeared as if he was trying to break a fall. Israel qualified a squad of rhythmic gymnasts for the individual and group all-around by finishing in the top 15 (for individual) and top 10 (for group) at the 2015 World Championships in Stuttgart, Germany. The competitors in the team event all made their first Olympic debut. The group was considered Israel's best chance for a gold at the Olympics after they had finished in first place for the hoops and clubs disciplines at the European Championships. In the first round, Israel finished in sixth place. The team performed worse in the second round, with their score the worst among all teams. The group all-around achieved a total of 34.883 points and qualified for the final after finishing in sixth place in the qualification round. The team finished in sixth place again in the finals round with a total of 34.549 and did not win a medal. Neta Rivkin was the flag bearer of the Israeli team at Rio's opening ceremony, her third Olympic Games, at the age of 24. In her first rotation, the ball, she scored 17.866 and was in 6th place out of 26 competitors, but she dropped the hoop and ribbon in her next two rotations. She came in 13th overall in the individual qualification round, with a total score of 69.223 points, and consequently did not advance into the top 10 finals. Rivkin announced her retirement from gymnastics in a press conference following the Olympics. Israel qualified seven judokas for the Games. Six of them (three per gender), including 2015 European champion Sagi Muki and London 2012 Olympian Golan Pollack, were ranked among the top 22 eligible judokas for men and top 14 for women in the International Judo Federation (IJF) World Ranking List as of 30 May 2016. Shira Rishony earned a continental quota spot from the European region as Israel's top-ranked judoka outside of direct qualifying position for the women's extra-lightweight (48 kg) class. During the first two days of competition, the Israeli judokas did not win a match. Shira Rishony has lost in the first round after she was disqualified for illegally touching her opponent's leg. Golan Pollack lost by ippon in the second round. Also in the second round, Gili Cohen led during the first three minutes of the fight after her opponent got two shido, but lost by yuko. On the third day, Sagi Muki competed in the Men's 73 kg. He started the competition at the second round. During his first match, which was against Rok Drakšič, he won by ippon. In the third round, he won by points after he scored a waza-ari during the fight. He defeated Nick Delpopolo at the quarterfinals with an ippon. Muki lost in the semifinals by points after his opponent got yuko during the fight. Muki lost the fight for the bronze medal by ippon to Lasha Shavdatuashvili and finished in fifth place. At the end of the competition, Muki revealed that he suffered from two slipped discs a month before the games and that he ruptured two ankle ligaments a month earlier. During the fourth day Yarden Gerbi won a bronze medal in the women's 63 kg. She started the competition at the second round with a win by waza-ari, awasete ippon. Gerbi lost in the quarterfinals by points after her opponent Mariana Silva got yuko during the fight. At the repechage, she won by points with a waza-ari. Finally, she won the fight for the bronze medal by points with yuko and waza-ari. Linda Bolder competed on the fifth day. She started the competition with two wins. During her first round match, she won by ippon after a waza-ari and at the second round, she won by points with a waza-ari. Bolder lost in the quarterfinals by ippon. She lost also at the repechage to María Bernabéu. On the last day of the competition, Or Sasson won a bronze medal in the Men's +100 kg. He won the first round by waza-ari, awasete-ippon against Egyptian judoka Islam El Shehaby. El Shehaby refused to shake Sasson hand at the end of the match. At the second round, he won by points with a waza-ari. Sasson defeated Roy Meyer at the quarterfinals by points with a waza-ari but lost in the semifinals by points after Teddy Riner got waza-ari during the fight. Sasson won the fight for the bronze medal by a penalty. Israel entered six athletes into the sailing competition at the Olympics. For the RS:X class, Maayan Davidovich won the bronze medal at the women's event in the 2014 ISAF Sailing World Championships while Nimrod Mashiah finished eleventh place at the Men's event. Both of them secured a place for Israel in the Olympics. In April 2016, Davidovich and Shahar Tzuberi, Beijing 2008 bronze medalist, secured their spots on Israel’s Olympic delegation. Tzuberi defeated Mashiah in the battle for representing Israel at the Olympics. This was the third time Tzuberi participated at the Olympic Games and the second time for Davidovich. Davidovich finished ninth in the final race, taking 24 minutes and 46 seconds to complete her sail. Her overall ranking was seventh with 78 net points. Before the final race, she was ranked fifth with 60 net points. Tzuberi failed to qualify for the finals and finished seventeenth with 160 net points. At the 470 class, Dan Froyliche and Eyal Levin secured a place for the Games by managing to finish twenty-fourth in the men's event at the 2015 470 World Championships that took place in Haifa. Nina Amir and Gil Cohen first teamed up in March 2016. In their first competition together at the Trofeo Princesa Sofia, they finished in ninth place and secured a place on the Israeli sailing team for the Games. This was the second time Cohen represented Israel at the Olympics. The two teams failed to qualify for the finals. Amir and Cohen finished seventeenth with 120 net points. Froyliche and Levin finished twenty-first with 152 net points. Sergey Richter qualified to compete in the event by winning a medal in the 2015 European Games. This was Richter's second Olympics. He placed 9th at the London Olympics, missing the finals by one place. In regards to qualifying for Rio, Richter said "the pressure ahead of Baku was unbearable and it took me a few seconds to regain my composure in the final once I realized I clinched my place in the Olympics." Richter scored 623.8 out of a possible 654.0 points during the qualification round of the 10 m air rifle. He would have needed a score of at least 625.5 to qualify for the finals. For the 50 m rifle prone, he scored 622.6 points. He required a score of at least 624.8 to qualify for the final round. Seven athletes qualified in the swimming events - six in individual events and one (Keren Siebner) in the relay events. The qualifying standards are up to a maximum of 2 swimmers in each event at the Olympic Qualifying Time (OQT), and potentially 1 at the Olympic Selection Time (OST). Yakov Toumarkin qualified at the 2015 Israel swimming State Cup after finishing the men's 200 metre backstroke final in 1:58.20 minutes. He competed in the men's 100 and 200 metre backstroke and was the only swimmer who managed to qualify for the semifinals but did not advance to the finals. Ziv Kalontorov qualified at the 2015 European Games after he won a gold medal in the men's 50 metre freestyle with a time of 22.16 seconds, breaking the Israeli record. He competed in the men's 50 and 100 metre freestyle. Gal Nevo qualified after he won a silver medal at the 2016 European Aquatics Championships in London in the men's 200 metre individual medley with a time of 1:59.69 minutes. He competed in the men's 200 metre butterfly, 200 and 400 metre individual medley. Andrea Murez and Amit Ivry qualified at the 2015 Israel swimming State Cup. Murez qualified after finishing the women's 50 metre freestyle in 25.12 seconds, which registered a new national record time. She competed in the women's 50 and 100 metre freestyle buy did not start in the 200 metre freestyle. She also competed in the 4×100 metre freestyle relay. Ivry qualified after finishing the women's 100 metre breaststroke in 1:07.47 minutes and broke the national record she set at 2014. She competed in the women's 100 and 200 metre breaststroke and the 100 metre butterfly. Zohar Shikler qualified at the 2016 Israel swimming State Cup after finishing the women's 50 metre freestyle in 25.18 seconds. She also competed in the women's 50 metre freestyle. Keren Siebner competed with Murez, Ivry and Shikler in the women's 4×100 metre freestyle relay after FINA reviewed swimmers' results of all relay teams and found out that one of the relay teams did not meet the qualifications. They finished sixteenth with a time of 3:41.97 minutes. Israel fielded a squad of two synchronized swimmers to compete in the women's duet by virtue of their twelfth-place finish at the FINA Olympic test event in Rio de Janeiro. Anastasia Gloushkov competed in her fourth Olympics, becoming the first Israeli woman to compete in four Olympics. Even though Gloushkov gave birth after the London Olympics, she still trained enough to compete in the Rio Olympics. The duo scored 79.4488 points in the technical routine, placing 20th in that portion. They placed 21st in the free routine, scoring 78.9000 points. Their combined score was 158.3488, garnering 20th place overall. To qualify for the finals, they required a score better than 170.3304 points. Israel entered one athlete into the taekwondo competition at the Olympics. Ron Atias secured a place in the men's flyweight category (58 kg) by virtue of his top two finish at the 2016 European Qualification Tournament in Istanbul, Turkey. He is the first-ever Israeli male taekwondo athlete to compete in the Olympics. In the first round, Teixeira connected with a head kick for three points. He delivered another blow to Atias' head in the second round, bringing the score to 8:0. Atias' coach got the score adjusted to 7:0 after a discussion with the judges. Teixeira's success continued, scoring 16 total points by the end of the third round. Atias' only scored two points after being penalized for an illegal kick to the legs. Atias lost in the round of 16 against Venilton Teixeira from Brazil by point gap of 2–16. Atias would have had a chance to compete for the bronze medal if Teixeira reached the finals, however he failed to do so and therefore Atias was eliminated from competition. Israel entered one male tennis player into the Olympic tournament. Dudi Sela (world no. 65) qualified directly to the event as one of the top 56 eligible players in the ATP World Rankings as of 6 June 2016[update], making him the first Israeli to compete in the men's singles tournament since 1992, when Gilad Bloom lost his second round match to Jim Courier of the United States. In the round of 64, Sela won both sets 6–4 against Damir Džumhur from Bosnia. During the hour and a half match, there was a five-minute stoppage when Dzumhur claimed fans were cursing at him from the crowd. Sela failed to advance following the round of 32 after being beaten by David Goffin (ranked 13th in the world) from Belgium 3–6 in both sets. Israel entered one triathlete to compete at the Games, signifying the nation's Olympic debut in the sport. Ron Darmon was ranked among the top 43 eligible triathletes in the men's event based on the ITU Olympic Qualification List as of 15 May 2016. On the topic of being the first Israeli triathlete at the Olympics, he said "Records can be broken but being the first one, that can never be taken away. I'm pretty happy about that." He also said that he did not expect to qualify for Rio, and that he expected his first Olympic qualification to be for Tokyo. Darmon trains in Australia with coach Warwick Dalziel. He received surgery for a broken collarbone in 2015 and had to train to get back in Olympic form. He placed 26th out of 55 participants, with a total time of 1:48.41, 3:40 behind the winner. His best portion of the race was the cycling section, where he had the 16th best time. Israel received a quota place from IWF to send a male weightlifter to the Olympics, signifying the nation's return to the sport for the first time since 1996. Olshanetskyi successfully cleared his first two snatches at 160 kilograms (350 lb) and 165 kilograms (364 lb), but scratched his third attempt of 170 kilograms (370 lb). In the clean and jerk, he cleared his first attempt of 200 kilograms (440 lb). Olshanetskyi scratched his second attempt of 206 kilograms (454 lb) and successfully cleared his third attempt of 207 kilograms (456 lb). This gave him a total score of 372 and 17th place out of 23. Prior to the Olympics, Facebook allowed users to add the Olympic logo and the team flag to their profile pictures, however Israel was not included on this list. The flag was later added to the list, however was not listed alphabetically, and was included at the end of the list. Prior to the opening ceremony, the Lebanese delegation was assigned to ride on the same bus as the Israeli delegation. The head of the Lebanese team, Salim al-Haj Nicolas, admitted that he demanded that the bus door be closed on the Israeli team, and that the Lebanese demanded that the Israeli athletes not board the bus. Lebanon and Israel have no diplomatic relations. Udi Gal, an Israeli Olympic sailor, said his team ultimately decided to travel separately to avoid an "international and physical incident" but added "How could they let this happen on the eve of the Olympic Games? Isn't this the opposite of what the Olympics represents?" On 3 August 2016, two days before the start of the Olympics, the International Olympic Committee officially honored the 11 Israelis murdered during the Munich massacre for the first time. A Saudi Arabian judoka, Joud Fahmy, was accused of forfeiting her match in order to avoid competing against Gili Cohen. Fahmy, Saudi Arabia's news agency Al Arabiya, and the Saudi Olympic delegation have both stated that Fahmy forfeited because she received an injury, however other media outlets reported she was not injured. Egyptian judoka Islam El Shehaby refused to shake hands with Israeli Or Sasson or to perform the traditional post-match bow (giving only a quick nod), after Sasson defeated El Shehaby in a first-round match in the heaviest weight class on 12 August. During the Games, social media users pressured Shehaby not to arrive to the match because "it would shame Islam." American coach Jimmy Pedro called the Egyptian's behavior "completely dishonorable and totally unsportsmanlike." El Shehaby was sent home early by the IOC and Egypt's Olympic committee for refusing to shake Sasson's hand. ^ Aharoni, Oren (12 July 2016). "ריבקין תישא את הדגל בטקס הפתיחה בריו" [Rivkin will carry the flag at the opening ceremony in Rio] (in Hebrew). Ynet. Retrieved 13 July 2016. ^ "Rio 2016 Closing Ceremony - Flag Bearers" (PDF). International Olympic Committee. 21 August 2016. Retrieved 9 January 2017. ^ "Israeli Olympic delegation preparing to wow in Rio". Jerusalem Post. Retrieved 15 August 2016. ^ a b c d "Sinai Says: With multiple medal contenders, Israeli Olympians primed for podium return". Jerusalem Post. Retrieved 15 August 2016. ^ "Israel's Olympic tally: 2 bronzes, 7 finals, a delegation with more than half women". Times of Israel. 22 August 2016. Retrieved 2 December 2016. ^ "Israel - National Olympic Committee (NOC)". International Olympic Committee. 21 June 2016. Retrieved 7 January 2017. ^ Times of Israel staff (9 August 2016). "Israeli judoka Yarden Gerbi wins bronze at Rio Olympics". The Times of Israel. Retrieved 30 December 2016. ^ Sherwood, Andrew (12 August 2016). "Sasson wins Israel's second Olympic medal". Jewish News. Retrieved 30 December 2016. ^ Klein Leichman, Abigail (21 July 2016). "Israel's largest-ever Olympic delegation heads to Rio". israel 21c. Retrieved 3 January 2017. ^ Zenziper, Nadav; Aharoni, Oren (5 August 2015). "One year to Rio: Does Israel stand a chance?". Ynet. Retrieved 22 January 2017. ^ Sherwood, Andrew (13 August 2016). "Sanford fails to reach 400m semi-final". Jewish News. Retrieved 22 January 2017. ^ "Rio 2016 Olympics: Israeli runner Maor Tiyouri finishes 90th in women's marathon". Ynet. 14 August 2016. Retrieved 22 January 2017. ^ a b c d "Men's Marathon". IOC. Retrieved 3 January 2017. ^ a b "Track and Field - Men's High Jump | Rio 2016". Yahoo. Retrieved 2 January 2017. ^ "Triple Jump Women - qualification series". IAAF. Retrieved 22 January 2017. ^ "Triple Jump Women - final series". IAAF. Retrieved 22 January 2017. ^ "Results - Mens 400m - Athletics - Rio 2016 - Olympics". BBC Sport. Retrieved 2 January 2017. ^ a b "Women's Marathon". IOC. Retrieved 3 January 2017. ^ "Triple Jump Women - qualification summary". IAAF. Retrieved 3 January 2017. ^ "Ttiple Jump Women - final ranking". IOC. Retrieved 3 January 2017. ^ "Performance Overview". Retrieved 14 January 2017. ^ McColl, T. Duncan (21 July 2016). "This guy wants to be the world's best badminton player". From the Grapevine. Retrieved 14 January 2017. ^ Sherwood, Andrew (13 August 2016). "Zilberman wins Israel's first Olympic badminton match". Jewish News Online. Retrieved 14 January 2017. ^ "Men's singles - group c - Chou vs Zilberman". Badminton World Federation. Retrieved 3 January 2017. ^ "Men's singles - group c - Tan vs Zilberman". Badminton World Federation. Retrieved 3 January 2017. ^ "Israeli Olympic Profiles: Shani Bloch". The Jerusalem Post. 31 July 2016. Retrieved 15 January 2017. ^ "Sinai Says: Bloch an Inspiration for Young and Old". The Jerusalem Post. 9 August 2016. Retrieved 15 January 2017. ^ "Women's Individual road race". IOC. Retrieved 3 January 2017. ^ Sherwood, Andrew (21 August 2016). "Flat tire punctures cyclist Haimy's hopes in Rio". The Times of Israel. Retrieved 15 January 2017. ^ "Men's Cross-country". IOC. Retrieved 3 January 2017. ^ "Official Rolex Website: Rolex Rankings". Retrieved 19 August 2016. Data as of 15 August 2016, prior to the beginning of the Olympic women's golf tournament. ^ Fields, Bill (11 July 2016). "Laetitia Beck hopes to make a name for herself -- and Israel -- in Olympic golf". ESPN. Retrieved 13 January 2017. ^ "Laetitia Beck Honored to Represent Israel in Rio Olympics". LPGA. 12 July 2016. Retrieved 13 January 2017. ^ "Individual Women". Olympic Games. Retrieved 13 January 2017. ^ "Olympics 2016: Women's Golf Final Scores and Results". Golf. 20 August 2016. Retrieved 13 January 2017. ^ "Olympic Games - Women's Leaderboard". International Golf Federation. Retrieved 3 January 2017. ^ "London 2012 Gymnastics Artistic - Results & Videos". International Olympic Committee. 20 November 2016. Retrieved 14 January 2017. ^ Talshir, Uri; Staff, Haaretz Sports (7 August 2016). "Disappointing Showings for Israeli Olympians in Day One of Rio Games". Haaretz. Retrieved 14 January 2017. ^ Sherwood, Andrew (7 August 2016). "Gymnast Shatilov stumbles his way out of Rio". Jewish News Online. Retrieved 15 January 2017. ^ Talshir, Uri (7 August 2016). "Disappointing Showings for Israeli Olympians in Day One of Rio Games". Haaretz. Retrieved 15 January 2017. ^ "Results for Men's Artistic Gymnastics Senior - Floor Exercise". FIG. Retrieved 3 January 2017. ^ "Results for Men's Artistic Gymnastics Senior - Horizontal Bar". FIG. Retrieved 3 January 2017. ^ "Israel delegation to return from Baku to hero's welcome". The Jerusalem Post | JPost.com. Retrieved 14 January 2017. ^ a b "Results for Rhythmic Group Senior - Group All-Around". FIG. Retrieved 3 January 2017. ^ "Israel rhythmic gymnastics team misses out on medals in Rio". The Times of Israel. 21 August 2016. Retrieved 15 January 2017. ^ Turner, Amanda. "Five Female Gymnasts Flag Bearers at Opening Ceremonies". ^ "Israel's rhythmic gymnast out after qualifiers in Rio". ^ "Results for Rhythmic Individual Senior - Individual All-Around". FIG. Retrieved 3 January 2017. ^ "Rio 2016 Olympics: Israeli Judoka Shira Rishony loses in first round". Ynet. 6 August 2016. Retrieved 20 January 2017. ^ Talshir, Uri (7 August 2016). "Tough Day for Israeli Judo as Two Team Members Are Knocked Out of Contention". Haaretz. Retrieved 20 January 2017. ^ "Israeli judoka loses in Olympic semifinals". The Times of Israel. 8 August 2016. Retrieved 20 January 2017. ^ Talshir, Uri (9 August 2016). "Israeli Judoka Sagi Muki Fails to Win Bronze Medal at Rio Olympics". Haaretz. Retrieved 20 January 2017. ^ Sinai, Allon (10 August 2016). "Sinai says:a roller coaster of emotions for Muki". The Jerusalem Post. Retrieved 20 January 2017. ^ Sinai, Allon (9 August 2016). "Israel wins first Olympic medal since 2008". The Jerusalem Post. Retrieved 20 January 2017. ^ "Judoka Linda Bolder falls short in 2016 Rio Olympics". The Jerusalem Post. 10 August 2016. Retrieved 15 August 2016. ^ Sinai, Allon (11 August 2016). "Bolder bows out Toumarkin scrapes into semis Nevo just misses". The Jerusalem Post. Retrieved 20 January 2017. ^ Reuters (15 August 2016). "Egyptian judoka sent home from Rio after Israeli handshake refusal". The Jerusalem Post. Retrieved 20 January 2017. ^ Nadav Zenziper and Ynetnews (12 August 2016). "Israeli judoka Ori Sasson wins Olympic bronze". Ynet. Retrieved 20 January 2017. ^ "Judoka Sagi Muki comes in fifth". Ynet. 8 August 2016. ^ "Rio de Janeiro 2016 men's +100 kg contests results". International Judo Federation. Retrieved 3 January 2017. ^ "Rio de Janeiro 2016 women's -63 kg contests results". International Judo Federation. Retrieved 3 January 2017. ^ "Rio de Janeiro 2016 women's -70 kg contests results". International Judo Federation. Retrieved 3 January 2017. ^ "2014 ISAF Sailing World Championship afterword". Olympic Windsurfing Class Association. Retrieved 19 January 2017. ^ "2014 ISAF Sailing World Championships - RS:X (Men) Fleet racing Results". ISAF. Retrieved 18 January 2017. ^ Noy, Becca (2 April 2016). "For the third time: Windsurfer Shahar Tzuberi will represent Israel in the Olympic Games". jerusalemonline. Retrieved 18 January 2017. ^ Haaretz Sports Staff (14 August 2016). "Israeli Windsurfer Maayan Davidovich Fails to Fulfill Medal Hopes at Rio Olympics". Haaretz. Retrieved 18 January 2017. ^ a b "2016 Summer Olympics - Results - Men's RS:X". ESPN. Retrieved 6 January 2017. ^ a b "2016 Summer Olympics - Results - Women's RS:X". ESPN. Retrieved 6 January 2017. ^ Jerusalem Post sports staff (31 July 2016). "Israeli Olympic profiles: Dan Froyliche and Eyal Levin". The Jerusalem Post. Retrieved 19 January 2017. ^ Jerusalem Post sports staff (31 July 2016). "Israeli Olympic profiles: Nina Amir and Gil Cohen". The Jerusalem Post. Retrieved 19 January 2017. ^ a b "2016 Summer Olympics - Results - Women's 470". ESPN. Retrieved 6 January 2017. ^ a b "2016 Summer Olympics - Results - Men's 470". ESPN. Retrieved 6 January 2017. ^ a b Sinai, Allon (16 June 2015). "Israeli shooter Richter wins medal at Baku, qualifies for Rio Olympics". The Jerusalem Post. Retrieved 30 December 2016. ^ "Quota Places by Nation and Number". ISSF. 30 May 2016. Retrieved 30 May 2016. ^ "Israeli Olympic Profiles: Sergey Richter". 31 July 2016. Retrieved 14 January 2017. ^ "Shooting: 10m Air Rifle Men". BBC. Retrieved 14 January 2017. ^ "Shooting: 50m Rifle Prone Men". BBC. Retrieved 14 January 2017. ^ "Israel's Olympic air rifle hopeful Rikhter falls short". The Times of Israel. 8 August 2016. Retrieved 15 August 2016. ^ "Portrait of Richter Sergey". ISSF. Retrieved 3 January 2017. ^ a b "Israeli swimmers qualify for Rio Olympics". The Jerusalem Post. 19 April 2015. Retrieved 20 January 2017. ^ a b "Results Olympic Games Rio 2016 - Men Backstroke 200m". FIBA. Retrieved 3 January 2017. ^ Tazpit, Ynetnews (29 June 2015). "Israelis bring home 12 medals as 2015 European Games wrap up". Ynet. Retrieved 20 January 2017. ^ Pileggi, Tamar (19 May 2016). "Israel's Gal Nevo takes silver at European swimming finals". The Times of Israel. Retrieved 20 January 2017. ^ a b c "Israeli swimmer squeaks into Rio semis, others flounder". The Times of Israel. 10 August 2016. Retrieved 4 January 2017. ^ a b "Results Olympic Games Rio 2016 - Women Freestyle 200m". FIBA. Retrieved 3 January 2017. ^ Alagem, Shiri (20 April 2015). "שוחה לריו. עמית עברי הבטיחה את מקומה באולימפיאדה" [Swimming to Rio. Amit Ivry secured her spot in the Olympics] (in Hebrew). Sport 5. Retrieved 20 January 2017. ^ Aharoni, Oren (7 April 2016). "זוהר שיקלר הבטיחה את הכרטיס לריו 2016" [Zohar Shikler secured her ticket to Rio 2016] (in Hebrew). Ynet. Retrieved 20 January 2017. ^ "Keren Siebner's Surprise ticket to Rio Olympic Games!". Swimming Israel. 25 July 2016. Retrieved 20 January 2017. ^ a b "Results Olympic Games Rio 2016 - Women Relays Freestyle 4x100m". FIBA. Retrieved 3 January 2017. ^ "Results Olympic Games Rio 2016 - Men Freestyle 50m". FIBA. Retrieved 3 January 2017. ^ "Olympics Swimming Men's 100m freestyle heats results". reuters. 9 August 2016. Retrieved 4 January 2017. ^ "Results Olympic Games Rio 2016 - Men Butterfly 200m". FIBA. Retrieved 3 January 2017. ^ "Results Olympic Games Rio 2016 - Men Medley 200m". FIBA. Retrieved 3 January 2017. ^ "Results Olympic Games Rio 2016 - Men Medley 400m". FIBA. Retrieved 3 January 2017. ^ a b Sherwood, Andrew (7 August 2016). "Tourmarkin fails to reach swimming semi-finals". The Times of Israel. Retrieved 15 August 2016. ^ "Results Olympic Games Rio 2016 - Women Breaststroke 200m". FIBA. Retrieved 3 January 2017. ^ "Results Olympic Games Rio 2016 - Women Butterfly 100m". FIBA. Retrieved 3 January 2017. ^ a b "Results Olympic Games Rio 2016 - Women Freestyle 50m". FIBA. Retrieved 3 January 2017. ^ "Israeli Olympic Profiles: Ievgenia Tetelbaum and Anastasia Gloushkov Leventhal". The Jerusalem Post. 31 July 2017. Retrieved 14 January 2017. ^ "Synchronised Swimming: Duets". BBC. Retrieved 14 January 2017. ^ "Results Olympic Games Rio 2016 - Women Duet". FIBA. Retrieved 3 January 2017. ^ "Taekwondo athlete wins Rio Olympics berth". Israel21c. Retrieved 14 January 2017. ^ a b "Draw Sheet Men –58 kg" (PDF). World Taekwondo Federation. Retrieved 4 January 2017. ^ Winer, Stuart (17 August 2016). "Israel's Taekwondo Olympian has Medal Hopes Dashed". The Times of Israel. Retrieved 15 January 2017. ^ "Israeli tennis champ defeats Bosnian in Olympic round 1". The Times of Israel. 7 August 2016. Retrieved 15 January 2017. ^ Sinai, Allon (6 June 2016). "Sela set to compete for blue-and-white at Rio Olympics". Jerusalem Post. Retrieved 7 June 2016. ^ "Olympic Tennis Event Rio 2016". International Tennis Federation. Retrieved 14 January 2017. ^ "Israeli tennis champ defeats Bosnian in Olympic round 1". The Times of Israel. 7 August 2016. Retrieved 15 August 2016. ^ Rear, Ronnie (9 August 2016). "Rio Olympics - Men's Singles: Andy Murray and Rafael Nadal Race Through". Tennis World Magazine. Retrieved 15 August 2016. ^ "Swimming: Plenty at stake for Israelis in European championships pool". The Jerusalem Post. 16 May 2016. Retrieved 18 May 2016. ^ Newman, Logan (21 July 2016). "Israeli Triathlete Darmon Rolls Into Rio for 1st Olympics". The Jerusalem Post. Retrieved 14 January 2017. ^ "Athlete Profile: Ron Darmon". Retrieved 14 January 2017. ^ a b "Results: 2016 Rio de Janeiro Olympic Games - Elite Men". International Triathlon Union. Retrieved 4 January 2017. ^ a b "Results XXXI Olympic Games". International Weightlifting Federation. Retrieved 4 January 2017. ^ May, William (23 April 2016). "Kratysh Becomes 1st Female Wrestler from Israel to Qualify for Olympic Games". United World Wrestling. Archived from the original on 22 August 2016. Retrieved 24 April 2016. ^ "Kratysh proud to be Israel's first female Olympic wrestler". Retrieved 15 August 2016. ^ Winer, Stuart (17 August 2016). "Israel's wrestling, taekwondo Olympians lose first round matches". The Times of Israel. Retrieved 13 January 2017. ^ "Freestyle 69 kg women". IOC. Retrieved 4 January 2017. ^ Landesman, Shai (4 August 2016). "Facebook deletes Israel from list of Olympics participants". Israel National News. ^ Oster, Marcy (4 August 2016). 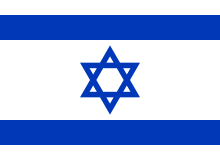 "Facebook Feature Eliminates Flag of Israel from List of Olympic Participants". The Forward. ^ "Israeli Olympic team snubbed by Facebook". The Jerusalem Post. 4 August 2016. ^ Hunt, Elle (8 August 2016). "Israel protests after Lebanese athletes refuse to share Olympic bus". The Guardian. ^ "Rio 2016 Olympics: Lebanese athletes refuse to travel with Israel team". BBC Sports. 6 August 2016. ^ "First official Olympic ceremony held in memory of Munich victims". Retrieved 15 August 2016. ^ "IOC honors Israelis slain in terror attack 1972 Olympics". The Times of Israel. AP. 4 August 2016. ^ "Saudi judoka forfeits Rio match, apparently to avoid Israeli". The Times of Israel. 7 August 2016. ^ "Israeli media ignores Saudi Judoka's injury, insist withdrawal is political". Al Arabiya. 8 August 2016. Retrieved 9 August 2016. ^ Robinson, Julian (8 August 2016). "Saudi judo competitor 'forfeits her first round match to avoid going up against an Israeli'". Daily Mail. ^ Grohmann, Carlos (15 August 2016). "Egyptian judoka sent home over handshake refusal with Israeli". Reuters. Retrieved 16 August 2016. ^ "Rio Olympics 2016: Egyptian judoka Islam El Shehaby 'sent home for handshake snub'". BBC Sport. 16 August 2016. Retrieved 1 January 2017. Wikimedia Commons has media related to Israel at the 2016 Summer Olympics.